During Computex 2017, AMD revealed that they would be formally launching the Radeon RX Vega family of GPUs in SIGGRAPH 2017. 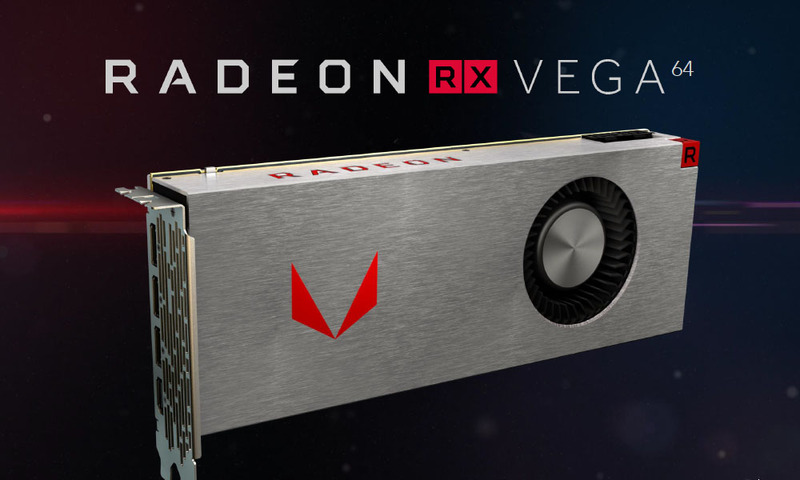 Well, it’s official – the AMD Radeon RX Vega is here! To be accurate, there are five Vega models, and they will be sold in special Radeon Packs as well. Confused? Don’t be. Let us break it down for you! Several months ago, we showed off an AMD Vega prototype running DOOM on Vulkan at the 4K resolution. During Computex 2017, Dr. Lisa Su also showed off dual AMD Vega GPUs running Prey at 4K, in an AMD Ryzen Threadripper system! Now, they are ready for the big time! Let’s kick off with this short official introduction video from AMD! AMD announced three Radeon RX Vega models, but in reality, there are five different variants. Their names are a mouthful, but descriptive. All five cards will be available for purchase starting 14 August 2017. What’s With The Limited Edition? 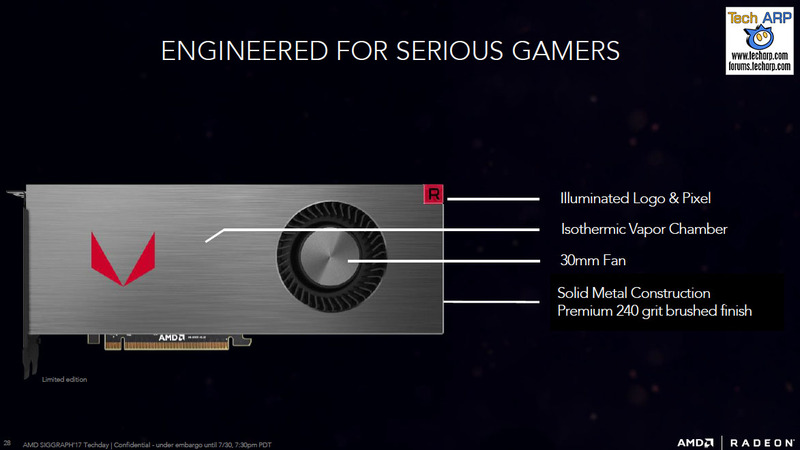 The Limited Edition cards are AMD’s version of the NVIDIA Founders Edition graphics cards – the pinnacle of graphics card engineering. It features a solid metal shroud with a 240 grit brushed finish. Inside is a 30 mm fan mated to an isothermic vapour chamber. There is also some bling in the form of an illuminated Vega logo in the middle of the shroud, and a Radeon pixel at the upper right corner. Previous : The Secrets Of The Delidded Threadripper CPU Revealed! Next : The Ultra-Thin LG SIGNATURE OLED W7 TV Revealed!